Searching for the perfect golf condo in Scottsdale? Grayhawk condos make spectacular seasonal homes, especially for golf enthusiasts. Whether you are a seasoned player or just picking up the game, you will love playing Grayhawk’s two beautiful courses, the Raptor and Talon. 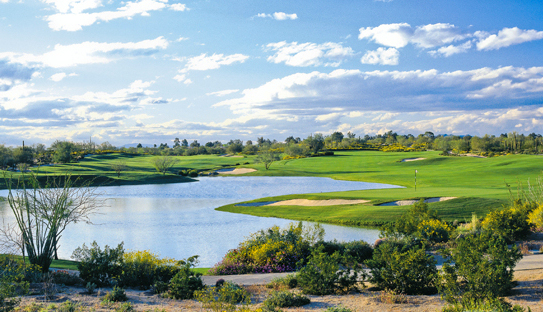 Scottsdale provides perfect sunny weather to enjoy golf at its finest. The best part is that when you’re done playing on those gorgeous fairways, you can still enjoy the views of the course from your comfy condo. Many Grayhawk golf condos offer superb patio or balcony views of manicured fairways draped across scenic desert terrain. Nothing beats being able to live where you play. When you’re ready to get back on the course, your next round will be just a few minutes away from home. 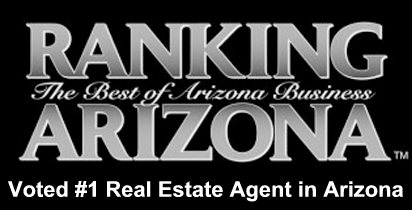 Search below for Grayhawk condos for sale situated along the Grayhawk Raptor and Talon golf courses. If you would like to arrange to see homes in person, please call us at (480) 363-6244 or email Carmen@TopScottsdaleHomes.com. Grayhawk is one of Scottsdale’s most prestigious public golf clubs. It features two highly rated championship courses, each of which provides its own distinct challenges and visual charm that golfers of all skill-levels can enjoy. The Raptor, designed by renowned golf architect Tom Fazio, offers wide fairways, cleverly placed bunkers and large, undulating greens for the perfect balance of risk and reward. The Talon course was designed by Gary Panks along with PGA Pro David Graham. This course is filled with inherent beauty and drama, skirting deep box canyons and teeming desert plant-life as it meanders over the rugged landscape. Players enjoy unobstructed views of the Phoenix skyline and McDowell Mountains. 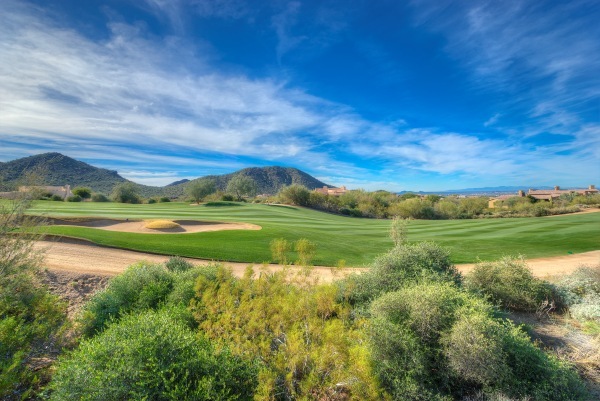 Grayhawk Golf Club is the ultimate destination for golf enthusiasts. If you are interested in purchasing a golf condo in Grayhawk, use the above search to find homes that match your criteria. Grayhawk has eight condominium communities, four of which are located on either the Raptor or Talon course. Choose a luxurious villa or a quaint townhome with the view you’ve always dreamed of, and start living the lifestyle you deserve. 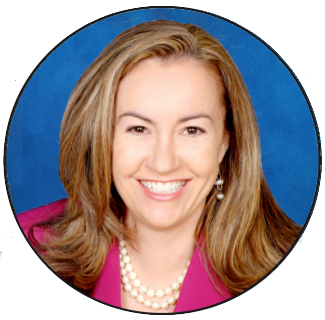 Need help sorting through your options? At Trillium Properties, we understand that choosing the right Scottsdale golf home can become overwhelming, especially when there are so many wonderful golf communities in Scottsdale. 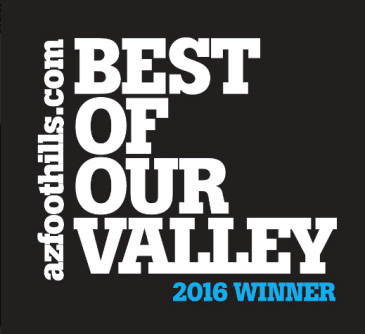 We can answer any questions you may have about the different communities and golf clubs in Scottsdale and help you decide which is right for you. Give us a call at (480) 363-6244 or email Carmen@TopScottsdaleHomes.com to learn more about Scottsdale golf homes and condos, or to schedule a showing of homes for sale.